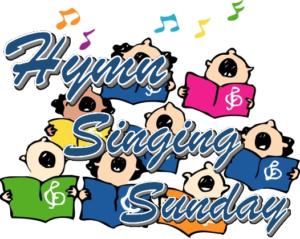 It is time for our Fifth Sunday hymn singing and dinner! Starting at 11 am, we will lift our voices and sing some favorite traditional hymns in the sanctuary. After the service, around noon, we gather around the table for lunch and time of fellowship. Methodists have always been a singing people. The world has never seen a greater hymn writer than Charles Wesley, nor a more important and influential hymnal editor than John Wesley. This service seeks to revive interest in the GREAT DAY OF SINGING, and it does so within a context that celebrates the great heritage and tradition of Methodist song. 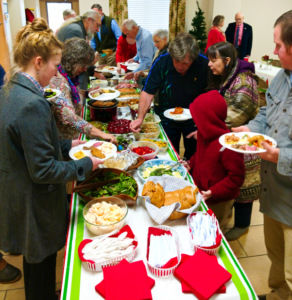 Our church is famous for its hospitality and pot-luck dinners. There is always enough good food for everyone! 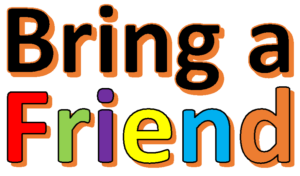 You are welcome to bring a little something to share but the most important thing is to join us. To make sure we have more than enough food and not wear out our fabulous cooks, the Mission Team will be bringing several additional deli items to supplement the feast. We will have plenty of delicious food! If you want to make the most out of the day, don’t forget to bring your family and a friend or two. It’s always better to celebrate and enjoy life together.